Remember I mentioned there would be more chicken recipes? One great thing about making chicken breast halves on the bone is the leftovers–really! One of the recipes to use that leftover chicken in is chicken couscous. 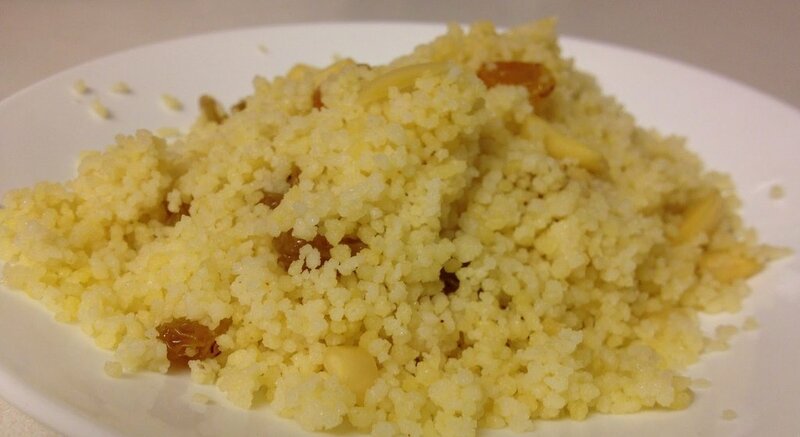 I love couscous. 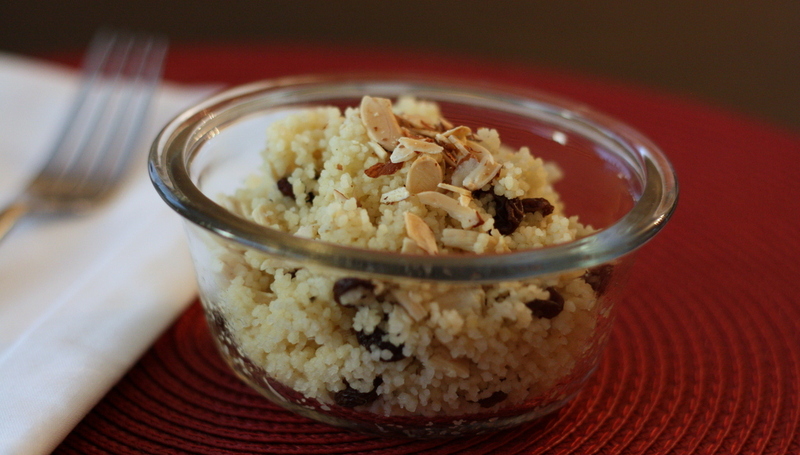 In fact, whenever I don’t feel well, couscous always makes life just a little bit better! Today I awakened with one of my favorite songs, “You Don’t Know What Love Is,” in my head. The first time I heard this beautiful jazz tune was an arrangement sung by Rachelle Ferrell. I’ve never performed the song before because it just never seemed to come together the way I wanted, but someday I know I will give this great song its just due! In a large sauce pan bring water, bouillon, chicken breast, raisins, poultry seasoning, and black pepper to a boil. Remove from heat. Add couscous. Stir. Cover. Set aside to sit for 5 minutes.